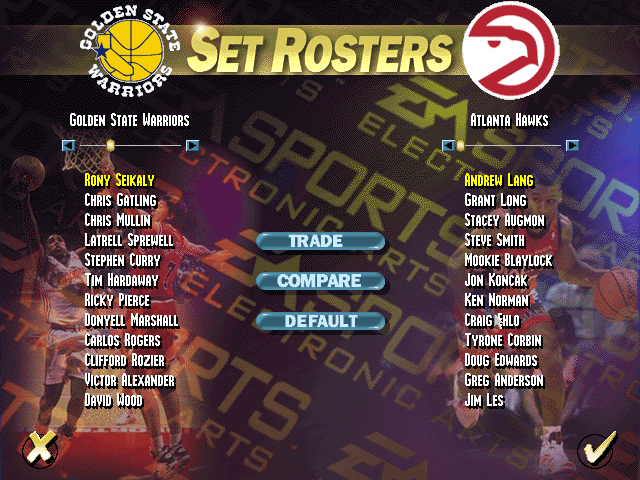 This is a modified version of the "Definitive NBA Live 95" roster update for NBA Live 95, which adds Stephen Curry to the game, replacing his father Dell Curry. Steph has also been placed on the Golden State Warriors, while Keith Jennings has been traded to the Charlotte Hornets. This patch was used for this Wayback Wednesday feature, and is obviously not intended to be accurate or realistic. Enjoy! If you encounter any problems, simply remove the rosters.dat file. Please see curry95.txt for more information.